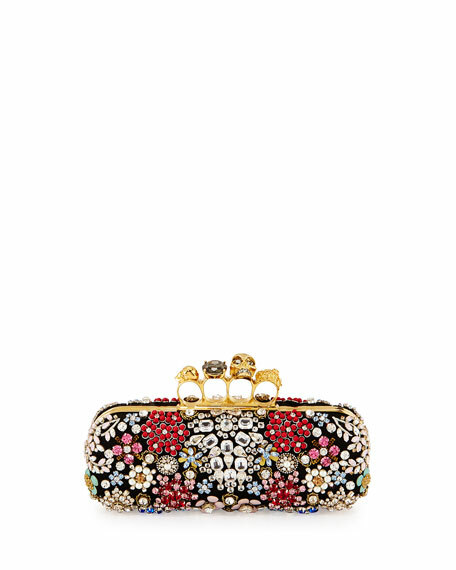 Alexander McQueen box clutch bag in embroidered fabric, encrusted with crystal brooches. 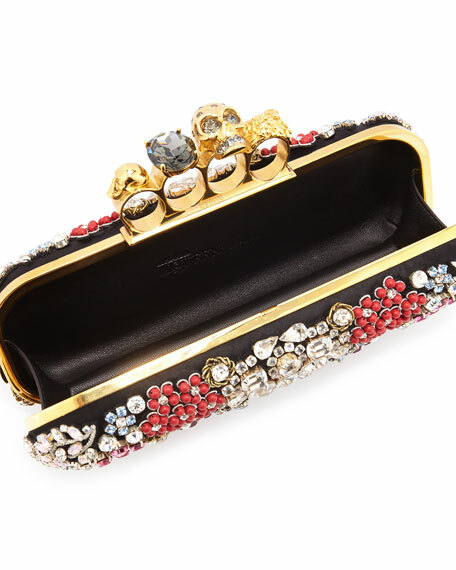 Signature hinged clasp with skull and crystal embellishment. 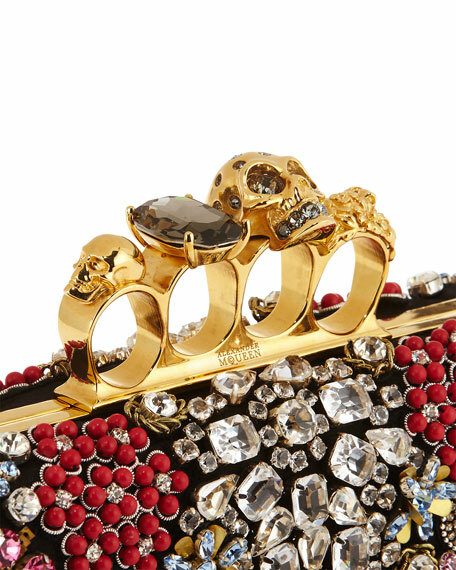 For in-store inquiries, use sku #1634757.